TextExpander enables you and your team to share support responses, marketing messages, links, and more with a couple keystrokes or a quick search. It can be especially useful for your company messaging and marketing, as there are a few tricks that ensure everyone in your organization can help spread your best promotions across all channels. That snippet was created by our marketing folks, who maintain and update it when we have something new to share. Once they update it, everyone in the company automatically gets the new messaging via the magic of shared snippets and nested snippets. This message can be automatically added to things like email signatures, adapted for social media campaigns, and more. Here’s how it all works. Note: We’ll stick with the email signature for examples in this post. But these snippets and techniques can expand way beyond email to social media efforts, blog post templates, forum responses, and much more. With TextExpander for Teams, you can share groups of text snippets with others in your organization. Many of our customers have groups for things like common customer support responses, links to frequently used company resources, marketing messages, and even fun stuff like emoji. You can even assign admin to snippet groups so they can make changes to snippets. TextExpander makes sure any changes are immediately available to all other group subscribers. 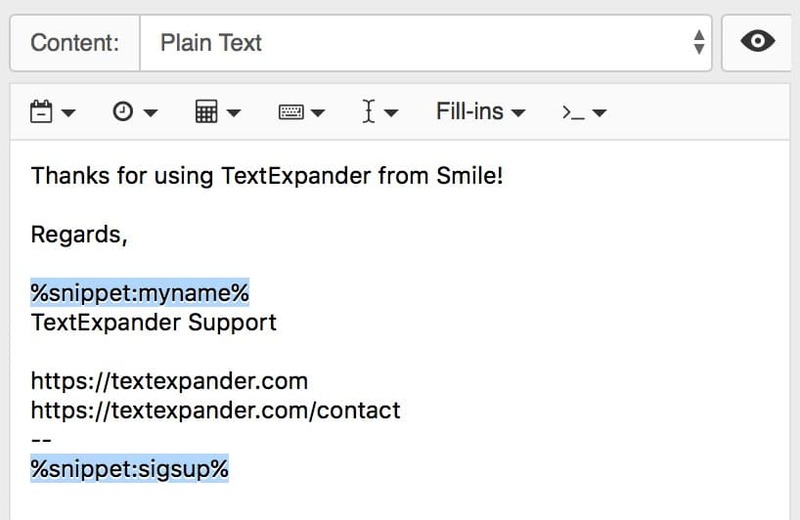 Check out our blog post on how to get started with TextExpander for Teams and sharing snippet groups. Our support reps generally don’t have admin privileges to edit marketing snippets, but that doesn’t matter. Our marketing folks keep them up to date, which enables our support reps to share our latest company messaging without lifting a finger. 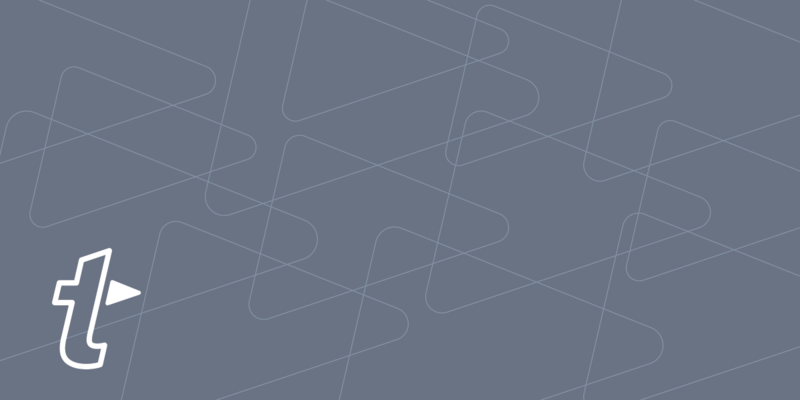 We hope this helps you and your organization spend less time typing, and more time #onbrand. Let us know what you think of shared snippets and embedded snippets on our TextExpander support page, Twitter @TextExpander, and LinkedIn.